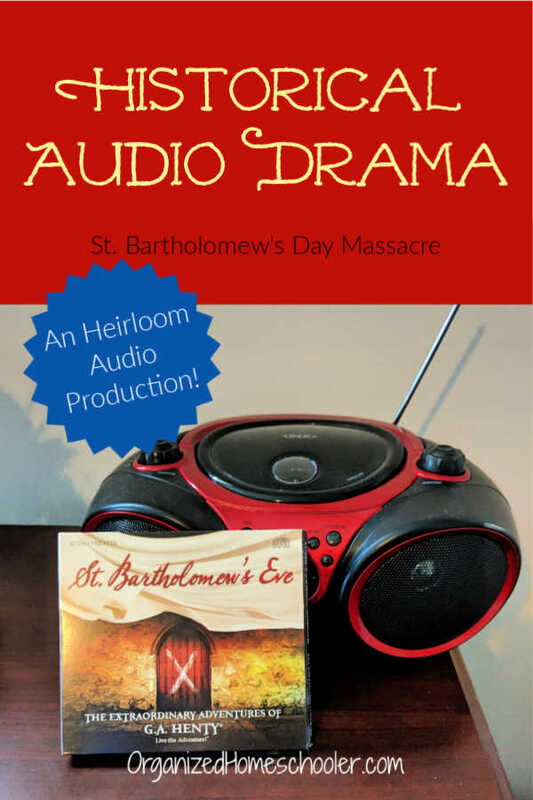 I love having high quality audio stories on hand, so I was excited that my family had the opportunity to review the new audio drama, St. Bartholomew’s Eve, from Heirloom Audio. Heirloom Audio is known for producing exceptional audio dramas that are historically accurate. I say audio drama rather than audio story because these adventurous tales are not your typical book on CD. Each character is played by a different professional actor, which means that every character has a different voice. There are also background sounds that make listening to this 2 CD set feel like you are listening to a movie. 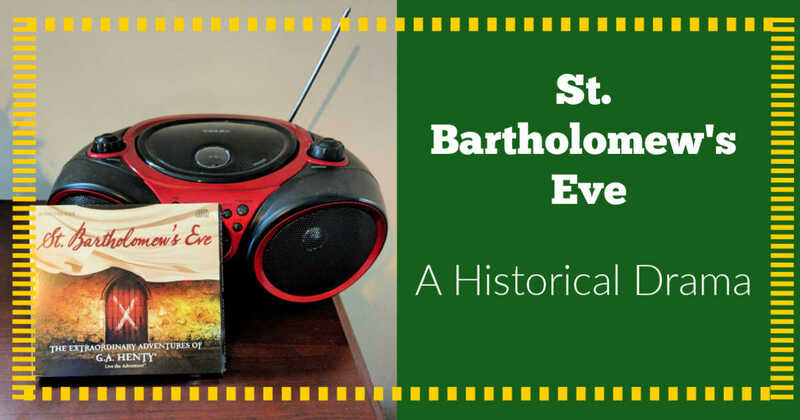 St. Bartholomew’s Eve tells the story of the Huguenots and their fight to worship as they saw fit. The Huguenots were French protestants living in 16th century France. The Catholic church did not approve of the way the Huguenots worshiped, which led to many battles, including the St. Bartholomew’s Day massacre of 1572. The St. Bartholomew’s Day massacre took place shortly after the royal wedding of a Catholic and a Protestant. Many Huguenots were in one place for the wedding, which made it easy to kill thousands in just a few days. I don’t think I had ever heard about the Huguenots and resulting massacre prior to listening to St. Bartholomew’s Eve. We don’t allow much screen time during the week, so my kids always appreciate a new audio drama. They really enjoyed listening to Wulf the Saxon, also by Heirloom Audio, a few months ago. We found St. Bartholomew’s Eve a bit hard to follow though. The accents were accurate and added to the story, but made it a little hard to understand the dialogue unless we were carefully paying attention. Normally we are able to listen to audio stories while working quietly, crafting, or working puzzles. My children need to do something with their hands if they are going to sit quietly and listen. This particle CD set required our complete attention. It took us longer than usual to get through because we listened to each part multiple times. The first time through we got the general idea. The second time through we fully understood what was happening. I think that not being familiar with the Huguenots prior to this story played a huge part in our difficulty. In hindsight, I should I done a little research and explained the story line before we even began listening. We learned quite a bit listening to St. Bartholomew’s Eve. I appreciate that this story is historically accurate. 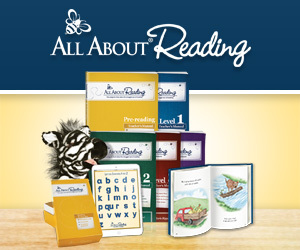 If we are going to spend hours listening to an audio drama we might as well learn something as well as be entertained. 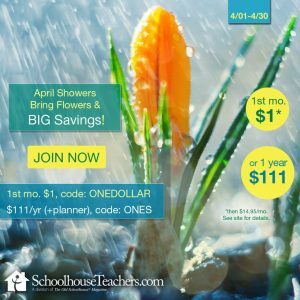 St. Bartholomew’s Eve is advertised as appropriate for ages 6 – adult. In general I agree with that, but I would caution that sensitive people might be upset by the story. The story of the Huguenots really is tragic, so there isn’t a way to make it a happy story. My children were not bothered by the violence in the slightest, but I found the story line of Argento particularly upsetting. My mom heart just couldn’t take the mental image of a young boy, approximately the same age as my son, being shot and having a leg amputated. There is no graphic detail and I think Heirloom Audio does do a good job of navigating the fine line between maintaining historical accuracy without being gory. I am just especially sensitive to stories of violence involving children. There are occasionally sounds of war such as gun shots, swords clashing, and yelling in the background noise. It is all very dramatic . . . which makes sense for an audio drama. 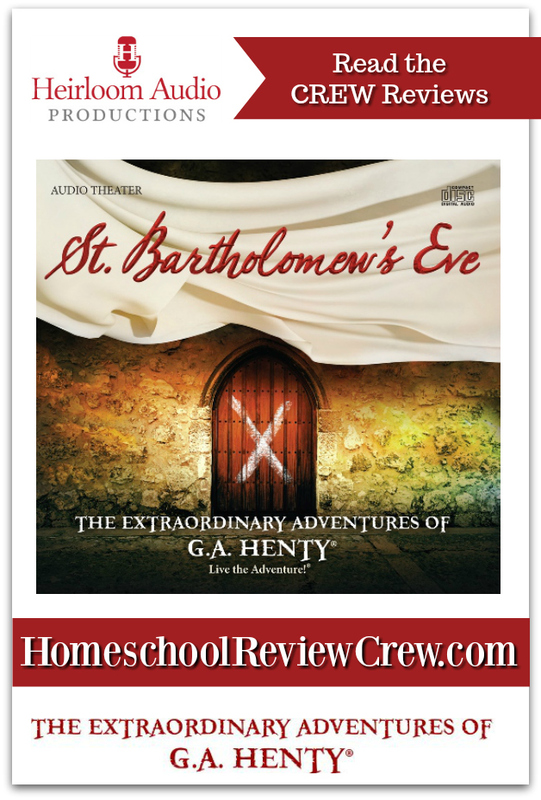 Click to read what other homeschool families thought of the St. Bartholomew’s Eve audio drama! Were any other mothers as sensitive as me?